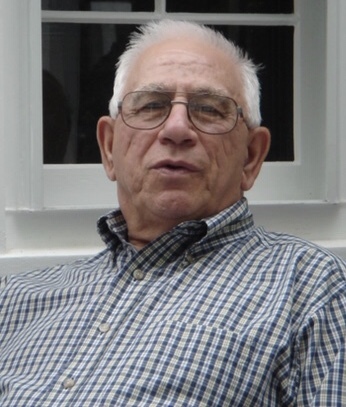 Alfred M. Andreola Jr., 80, of Hopedale, passed away peacefully at Milford Regional Hospital on Friday, February 8, 2019. He was born and raised in Milford, son of the late Alfred & Florence (Malatian) Andreola. Alfred leaves Carol (Chilson) Andreola, his beloved wife of 55 years, and two daughters: Alisa, wife of Mark Byron of Lunenburg and their extended family; Linda, wife of Ian Kabat of Franklin; two granddaughters Sophia and Isabella, and his brother Robert and wife Amy Andreola of Uxbridge, and many nieces and nephews. He was predeceased by his son, Alfred III. He played football at Milford High School and in 1958, enlisted into the United States Marines, where he served for three years. Alfred was employed at Milford Wood Working, Dennison, Wrentham State School, and later at the Mill House in Upton. In 1986, he was elected mayor of Prospect Heights, and was proud to be a part of the Heights Community. He was an avid outdoorsman and enjoyed hunting, fishing, gardening and camping. He loved his dog Angie. He volunteered with his wife for Meals-on-Wheels in Hopedale. They enjoyed summer vacations at Old Orchard Beach in Maine. Funeral home services will be held at Consigli Ruggerio Funeral Home, 46 Water Street, Milford, at 11a.m. Saturday, February 16, 2019. Calling hours are 8:30 to 10:30 A.M. prior to funeral services. Burial will be private. The family would like to thank the staff at Genesis & Milford Hospital for their professional and loving care for Alfred. In lieu of flowers, memorial donations may be made to Genesis of Milford, 10 Veterans Memorial Dr. Milford, MA 01757 or to the Hopedale Senior Center, 43 Hope Street, Hopedale, MA 01747. Wendy and I are very sorry to know about Al, Carol. The thought of you two always gave me a smile. I’ll continue to feel that way about you, and will remember Al fondly. I loved listening to him, one of the most pragmatic and kind men I’ve met. It’s sad to know there will be no more serendipitous meetings with him at Paul and Patra’s place in Old Orchard. I hope you and your family are ok. Very sorry for your loss. He's now at peace...no more suffering. One day you'll both be reunited and live happily in eternal life together. A great loss to his family and friends. I will always have such wonderful memories of him as kids. Please accept our deepest sympathy.